The past nine months have been a very full time for me of learning, growing and creating. Confiding to a close friend my strong sense of connection with Mary Magdalene’s mother, as briefly introduced to me through th e book I Remember Union, led to my overcoming great initial resistance to scribe 55 messages from her over the next 2+ months, as well as to publish these messages and an additional related book of Goddess paintings, poems, meditations and reflection questions. This second book comes out of a 10-year process of working with archetypal Goddess energies in painting, writing, channeling and workshop facilitating, and includes a painting of Mary Magdalene’s mother. 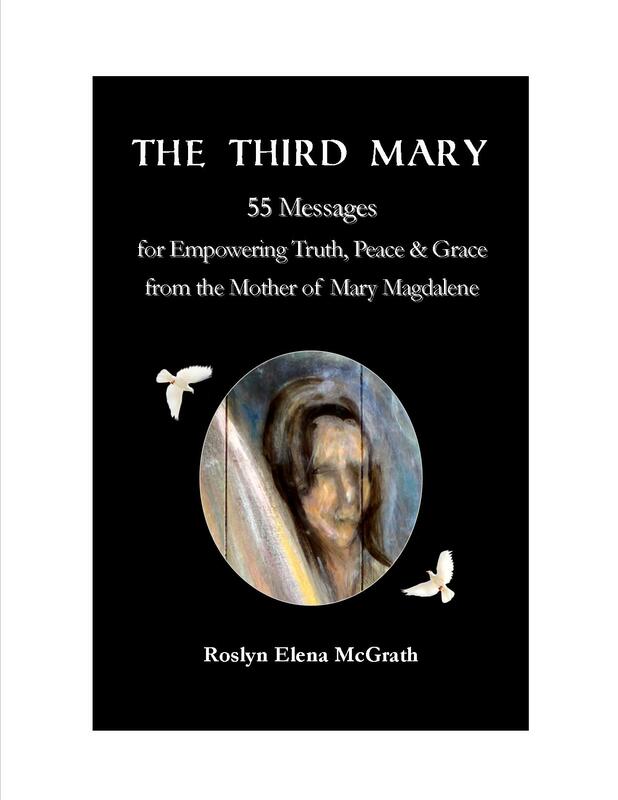 And now The Third Mary: 55 Messages for Empowering Truth, Peace & Grace from the Mother of Mary Magdalene and Goddess Heart Rising: Paintings, Poems & Meditations for Activating Your Divine Potential are birthed! I have and continue to learn so much from creating and publishing both of these works, so it’s very personally satisfying and exciting to be able to share them with you; they have such powerful guidance, insight and inspiration to offer. You can learn more about the books, read excerpts and purchase copies through either of their websites, www.thethirdmary.com and www.goddessheartrising.com. You can also purchase both books through Amazon by typing “Roslyn McGrath” into the search bar at the top of the page. A portion of the profits from all copies sold of The Third Mary will be donated to Soul Support Systems (www.soulsupportsystems.org ), and a portion of the profit from Goddess Heart Rising will be donated to organizations chosen for their support of creativity and empowered women. – Purchase The Third Mary by 6/22/14 and you’ll receive a free written message channeled from the Third Mary, plus 50% off the price of 1 order of 8” x 10” posters of her portraits. – Post a review of The Third Mary on Amazon by 7/1/14 and you’ll receive the above for yourself plus up to two other people of your choice; 1 free wallet-size mini poster of both portraits; $20 off a Third Mary guidance session; and 50% off your total order of any of my posters and meditation CDs, excluding shipping, through www.IntuitiveLearningCreations.com. – Purchase Goddess Heart Rising by 6/22/14 and you’ll receive a free written message channeled especially for you from a Goddess energy, plus 50% off the price of 1 order of 8” x 10” Goddess posters. 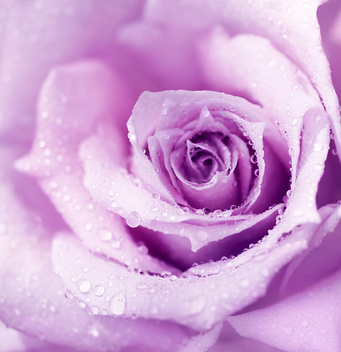 – Post a review of Goddess Heart Rising by 7/1/14 and you’ll receive the above for yourself plus up to two other people of your choice; $10 off a ½ hr. Goddess Reading or $20 off a 1 hr. Goddess Reading by phone on the topic of your choice; and 50% off your total order of Goddess posters and meditation CDs, excluding shipping, also through www.IntuitiveLearningCreations.com. I’d greatly appreciate your helping me to get the word out by posting this information on your Facebook page if you have, or sharing with your email lists where appropriate. And I’ve newly entered the Facebook, world, so you can connect with me there too! Would You Like a Piece of Heaven? What if y ou had access to deeply healing, relaxing and uplifting energy, simply and easily, right at your fingertips? The kind of energy that takes you into deep meditative states, where you feel a sense of Oneness and Divine Love, connected with your spiritual team and all of life? Energy that brings forth gifts you didn’t even know you had, heals old mental, physical and emotional traumas, brings Heaven on Earth closer now? Energy that you can share with other people, near or far, as well as animals, nature, situations and more, at a moment’s notice? I and others have experienced all of these blessings through LaHo-Chi and Angel Light Energetic Healing Training. And it’s my honor to be able to share this gift with you on Saturday and Sunday, July 12th & 13th, 2014. Regardless of your learning style, belief system, and level of familiarity with energetic healing, you can easily discover how to access the gifts of this profound healing system in a one-weekend training. This training is for people from all walks of life – parents, body workers, healers, holistic and conventional health professionals, caregivers, and everyone who wants to increase their personal growth and well-being and/or assist others with theirs. I was skeptical at first. The LaHo-Chi training made me realize it was more powerful than what I’d ever dreamed. It’s amazing! Used in the proper way, LaHo-Chi can bring miracles to yourself and to others, because it’s a pure giving. It’s very comforting knowing I have this at my fingertips. LaHo-Chi is tremendously helpful, not only as a form of prayer, but also as a form of self-empowerment. If you bring it into your daily life, things change for the better. LaHo-Chi is a great way of healing yourself and a great way of helping others to heal. – Stephen O’Dell, Jr. The training changed my life! Laho-Chi continues to expand my perceptions of the universe and has opened me to begin experiencing a journey of synchronistic discovery of Self. Roslyn held a wonderful space of love and exploration for us during the LaHo Chi training and spoke words of kind wisdom as she guided us through each step of the process. We were each encouraged to reflect on our personal discoveries and share them through creative mediums of our choice. My allowance of the LaHo Chi energy to flow and work through my life has grown tenfold with practice. It has shed light upon opportunities to shift doubts and fears into confidence that the love I AM is boundless and transformational. If you feel drawn to experience LaHo Chi, follow your soul’s calling! – Katie C.
Practicing LaHo-Chi on myself got me through the difficult period of taking care of my mother at her home during the last three weeks of her life. It gave me immediate relief, helping me let go of the tightness around my heart and overall stress, and to stay present and centered through this challenge. Thank you, Roslyn, for sharing this training with all of us! – Debra R.
The LaHo-Chi training helped me start asking for and receiving insight along with healing. I love it! Thank you for being such a blessing and inspiration! – Amanda N.
The LaHo-Chi training has made me more aware of my massage therapy clients’ needs and increased my intuition skills. My clients love it – many experience deeper relaxation, greater awareness of themselves and their needs, and receive valuable guidance for their lives. – Cassandra W.
Limited space is available on a first-come basis for the LaHo-Chi & Angel Light Healing Training. Pre-registration by 7/10/14 required. Cost is $225 with pre-paid registration by 7/5/14 to ILC, PO Box 583, Marquette, MI 49855, $255 after. Illustrated workbook, practice sessions, healthy lunch and snacks both days are included. Space may also be available at a reduced cost of $111 for those who have previously completed this training with me. Be sure to contact me ASAP if you are interested. It’s been several years since I’ve been called to offer this training, so I’m especially looking forward to it! If this speaks to you, I hope you will join me. Please click here for more info. on these energy modalities, and feel free to contact me with any questions.